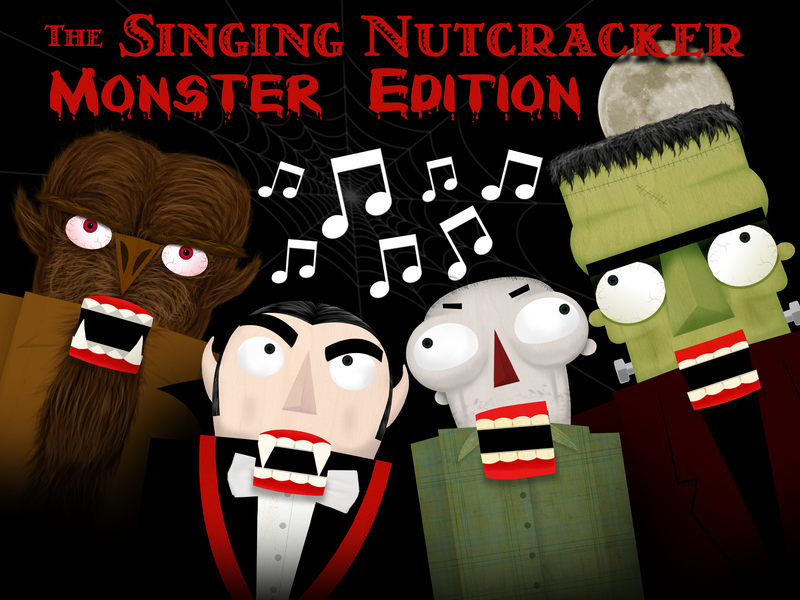 Frankenstein and Dracula don’t usually come to mind when you hear the word nutcracker. 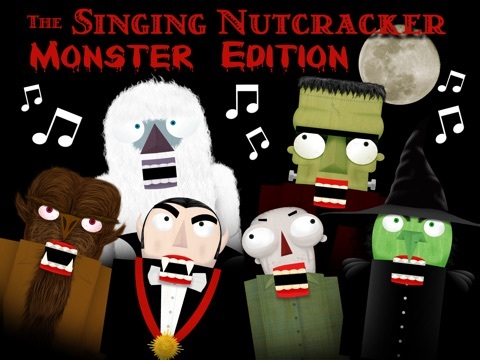 Singing Monster Nutcracker, an iPad app, will prove that nutcrackers are no longer just for the Christmas holiday. 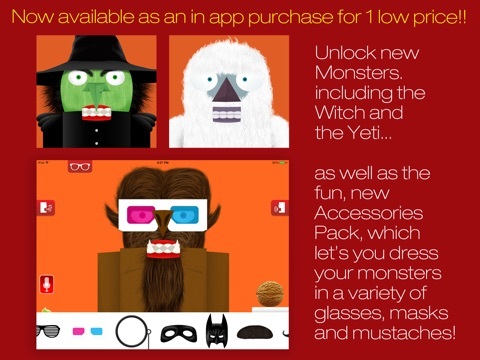 With this reasonably priced app kids can interact with Frankenstein, Dracula, Wolfman, and a Zombie. 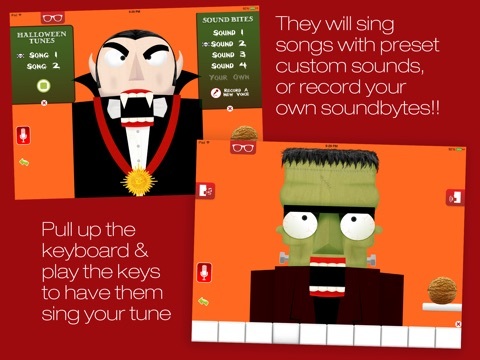 Four sounds (or voices) can be used for each monster, or record your own. Monsters can answer yes/no questions and sing songs. Two prerecorded songs are available to choose from or make your own using the keyboard provided. The app is simple to use and kids will not have any problems figuring out how to swap between the songs and sounds or record their own. There are not any in-app instructions, but then none are needed. 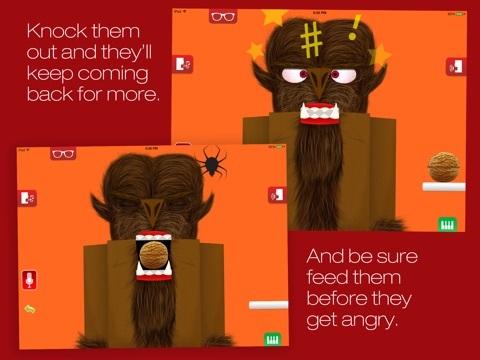 Poking monsters in the eyes and nose, and feeding them walnuts, candy corn, brains and dog treats are other ways kids can interact with the characters. Monsters get a little cranky if they are not fed. On the main screen of the app there are a few external links to warn the kids against; clicking on the buttons will cause the user to exit the app. The links are for additional apps. 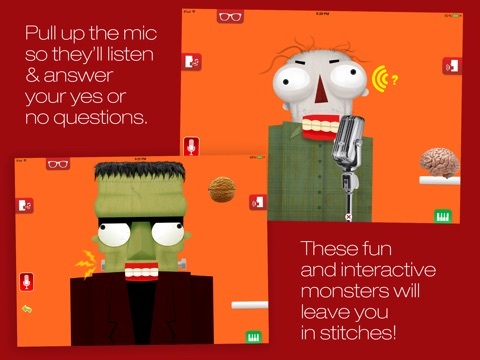 Singing Monster Nutcracker does not contain in-app purchases, ads or social media. The app was a hit at my house, but then anything that involves burping and farting is bound to be a hit with kids.